The WashBar range of natural shampoos is different from the other options out there. Different and better. Special even. 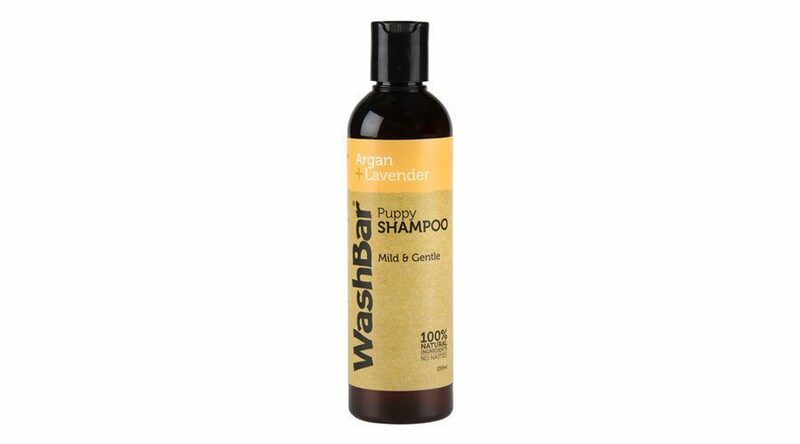 Gentle yet effective cleanser to calm skin and bring out the best in your dog’s coat. Specially designed for all types of dogs coats – the free-flowing consistency is easier to work through coat and rinses out easily. 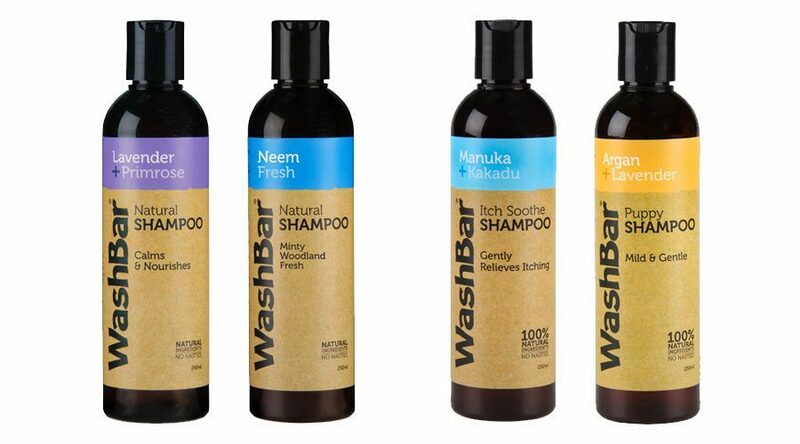 No parabens, no sulfates, no synthetic fragrances, no artificial colours, no alcohol and no palm oil derivatives. Suitable for dogs, cats, horses, guinea pigs, rabbits, chickens, cattle and more! It will leave your pet with a healthy, shiny and fresh-smelling coat. 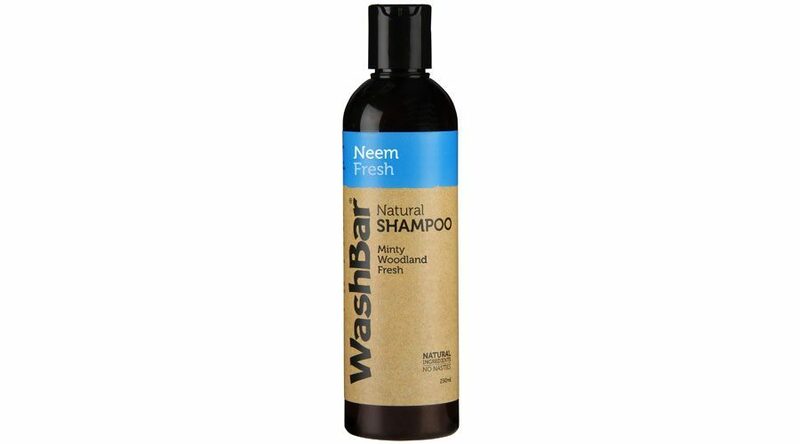 Packed full of natural goodness our shampoos come in 5 unique blends to freshen your pet’s coat and leave them smelling great. Packed full of natural goodness our shampoos come in 3 different blends to freshen your dogs coat and leave them smelling great. 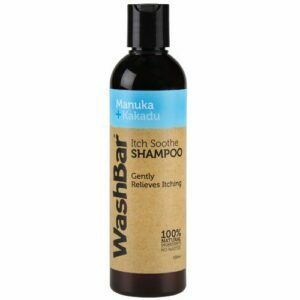 Super gentle formula. A warm lavender smell with antibacterial and calming qualities. 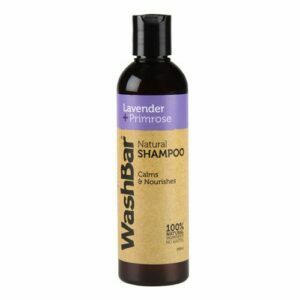 Evening Primrose Oil helps repair and nourish skin and coat. 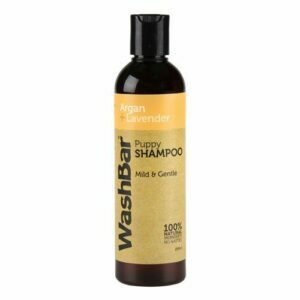 Perfect for bathing puppies (from 4 weeks) and kittens (from 10 weeks). 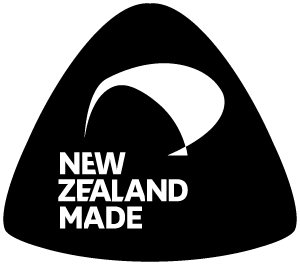 Made with spray-free lavender grown in beautiful NZ. Ideal for sensitive skin. 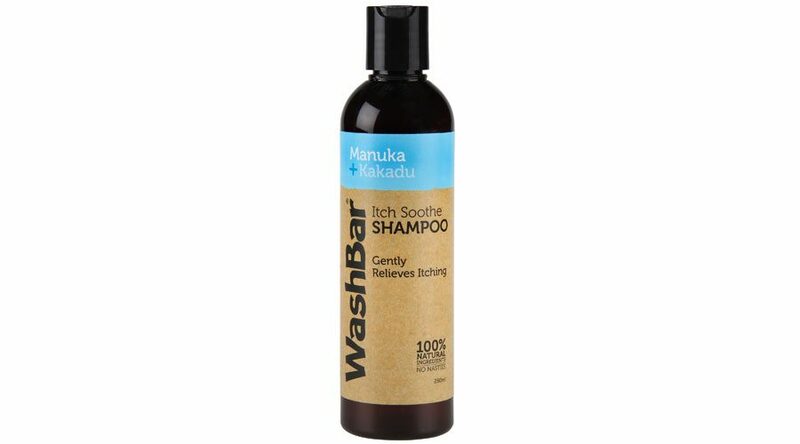 This shampoo contains extra Neem Oil, which together with pure essential oils of Manuka, Cedarwood, Rosemary and Peppermint helps with flea control. A perfect ‘bloke friendly’ scent. As with any shampoo, please keep out of eyes. Water, Saponified Organic Sunflower & Coconut oils, Glycerine (organic), Evening Primrose oil, Lavender Pure Essential oil, Potassium citrate, Citric acid. Water, Saponified Organic Sunflower & Coconut oils, Glycerine (organic), Argan oil, Neem oil, Pure Essential oils of: Manuka, Cedarwood Atlas, Peppermint & Rosemary. Potassium citrate, Citric acid. 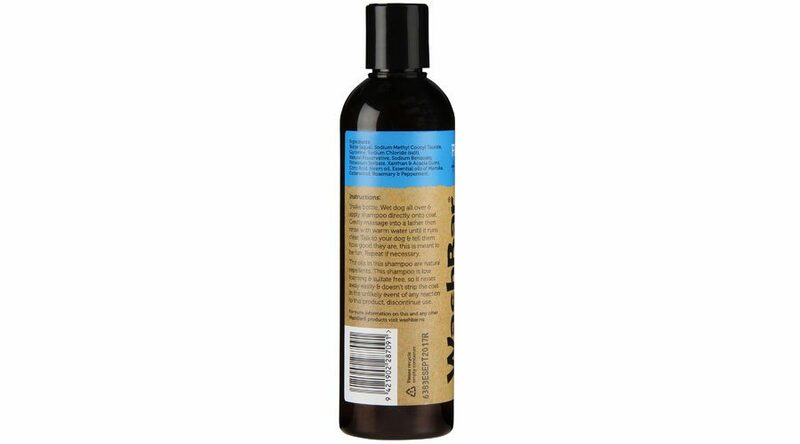 Water, Saponified Organic Sunflower & Coconut oils, Glycerine (organic), Argan Oil, Manuka Pure Essential Oil, Lavender Pure Essential Oil, Karanja Oil, Kakadu (Vitamin C) Extract, Guinea Flower (Quercetin) Extract, Potassium citrate, Citric acid. Water, Saponified Sunflower & Coconut oils, Glycerine (organic), Argan Oil, Manuka Pure Essential Oil, Lavender Pure Essential Oil, Potassium citrate, Citric acid.